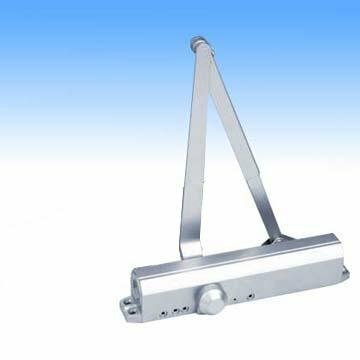 The 9036 Door Closer is a safe and reliable accessory for any door. This model by Sentry Safety hardware is furnished the adjustable Back Check application which prevents damage to the door and the closer should it be opened with excessive force. This feature ensures that the wear and tear on the door and the closer is minimized. Another feature on this model is the Rack and Pinion; this feature provides high quality performance and endurance that ensures the consumer 1 million cycles of seamless operation. Essentially this model meets the ANSI/BHMA Grade 2 high quality standards. This means that this model meets precisely defined criteria concerning performance characteristics, physical properties, test values, safety criteria, etc. Product grades are defined according to performance in each ANSI/BHMA standard, so not only does this series meet high safety standards, it also meets high quality standards, ensuring that the device will function properly time after time and in many situations. Additionally the 9036 Door Closer from Sentry Safety provides a number of options for the consumer. The Dual Valves allow the adjustment of the close and latch speeds separately. In addition this model is furnished with an adjustable Back Check application. Furthermore, there is the adjustable delay action function (for entries used by the elderly or disabled); the dual valve can be adjusted to engage the delay action or to close normally. The closer is capable of installation on a number of doors with a range of weights from 90 to 300 lbs, making it capable of residential and commercial use. Finally, there is a variety of installation options with the various mounting applications - standard, top jamb, and parallel arm. If you have any questions about this product by Sentry Safety, contact us by completing and submitting the form below. If you are looking for a specif part number, please include it with your message.